Ancient soul meets modern angles in the Midas Collection. 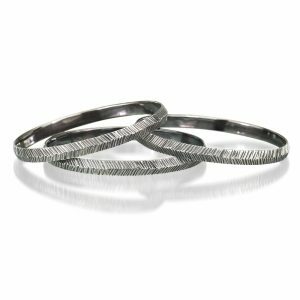 24K gold sets off the flowing, hand carved texture of this bangle. 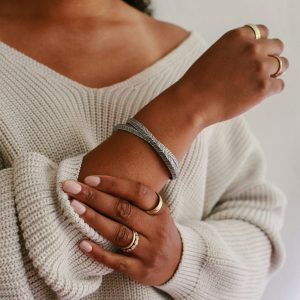 The bangle is weighted perfectly so that you (the wearer!) get to see the gold in action all day long. The inside is deliciously smooth and comfortable to wear. 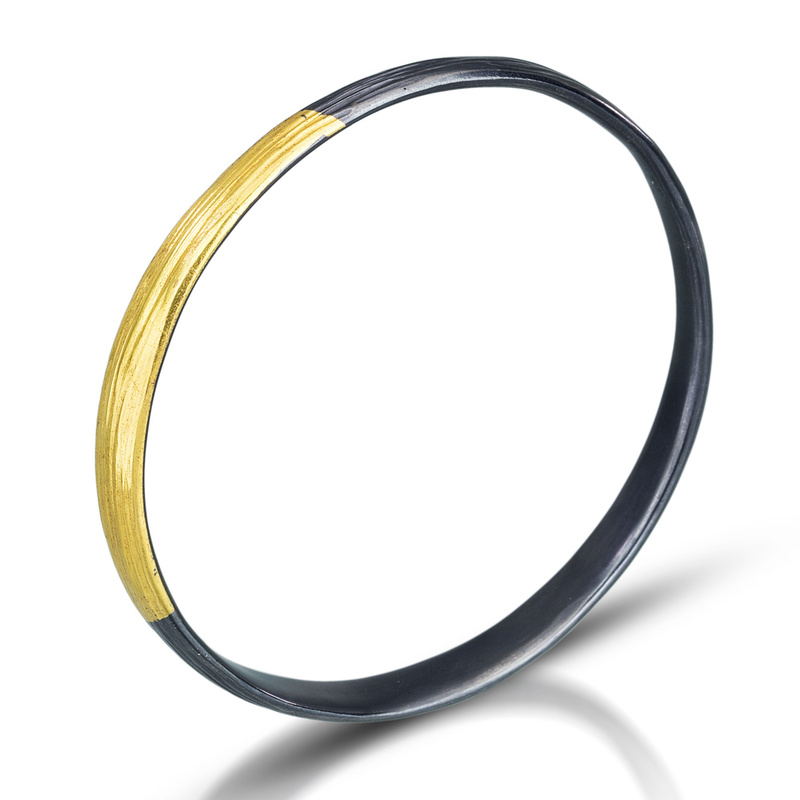 One size fits most- the Midas bangle has a diameter of 2.75 inches. Get the inside scoop from my studio, wrapped up in a slightly-sassy little love bundle.